Photographed by Brittany Kalaj Margulieux. Designing a home on a budget is a tricky business. You want to create a space filled with personality and high-quality pieces, but you also need to factor in how much you can actually afford. 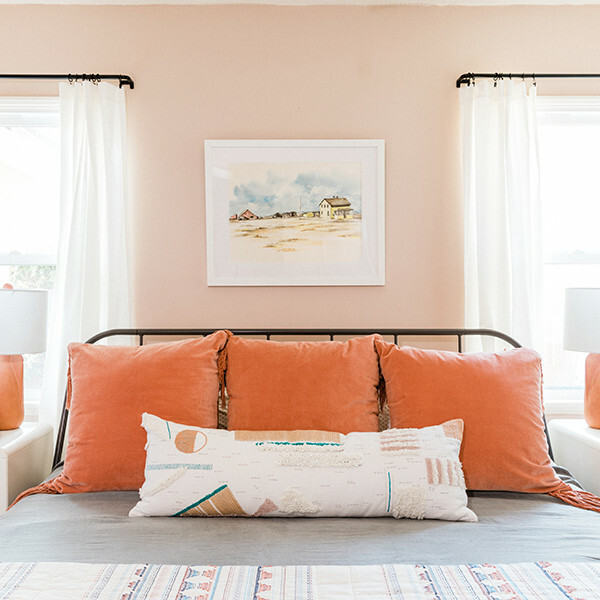 So when a couple with a baby on the way needed to convert their master into a nursery and transform a home office into their new bedroom, the pair tapped interior designer Abby Pendergrast to skillfully style both rooms while keeping the price tag under $5K. "They are a young couple with a growing family and I wanted their home to feel like 'them' when welcoming their baby into the world," shares Pendergrast. "We knew we wanted color to have a big impact in both spaces. For the master, the goal was to keep it bright yet cozy, but super functional. 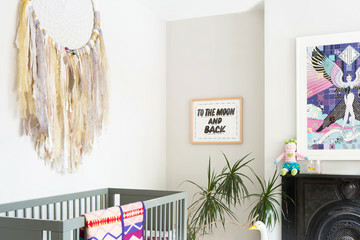 With the nursery, we wanted to make a statement! 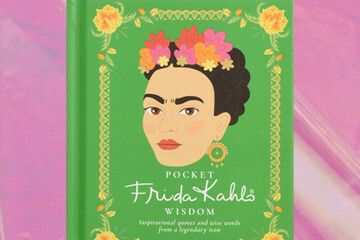 The goal was to keep it playful, yet not overly childish." By making investments in key pieces and mixing in items from big-box retailers, the designer was able to create two unique rooms that definitely have tons of personality. Read ahead to take a tour and get some tips how to create a stylish space on a budget.